Adding a conservatory to your house is a fantastic way of increasing your home’s living space, and unlike a house extension you also get to enjoy the benefits of the outdoors from within your home. We offer high quality timber conservatories in a variety of styles, and can even make customised designs according to your specification. In recent years the uPVC conservatory has become a popular choice for the homeowner because of its relative low-price and energy efficiency. However, for what the uPVC conservatory offers in convenience, it lacks in individual character. A hardwood-constructed conservatory can add charm and character to your property, as its timber construction ensures a conservatory which is tailored specifically to your requirements. Each timber conservatory is unique, and with our ability to provide you with almost any combination of colours and finishes, we can make sure that our conservatories are made just for you. Not only are our timber conservatories bespoke, but they are in many ways a practical choice. Like our windows, each conservatory comes with a variety of glazing options, including storm proof glass to protect your home from harsh weather conditions, and textured or obscure glass options for improved privacy. Timber conservatories are also the primary choice for those in older homes. 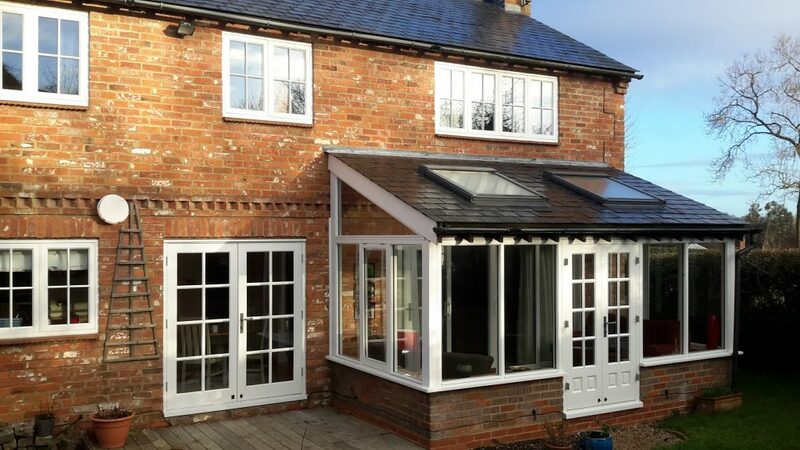 They are generally preferred over uPVC because they can more easily accommodate a more traditional aesthetic, and if you live in a listed building, then you may even be required to install a wooden conservatory over one which is uPVC.